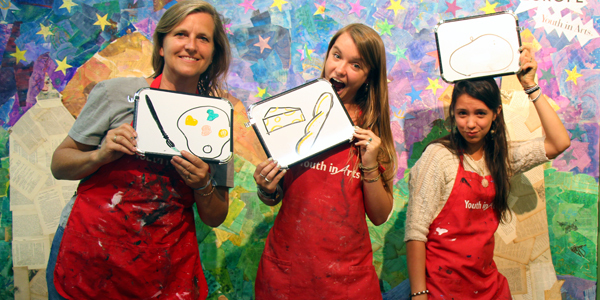 We rely on Youth in Arts volunteers to carry out special events and programs each year. Contact us at yia@youthinarts.org to let us know which of the above needs you can help with–or how you would like to get involved. As a first step, if you are not familiar with Youth in Arts, we encourage you to click TOUR YIA above right to sign up for one of our “Lights On” tours. When you learn about how we carry out our mission, you might have some great ideas for how you could become a part of our work!